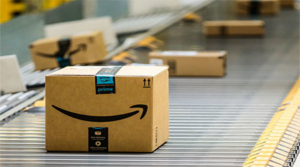 TUCSON, ARIZONA — Steve Cohen and Russ Hall of Cushman & Wakefield | Picor represented Scannell Properties of Indianapolis, IN (Robert Scanell, CEO) in the assemblage of 9.57 acres for the new Amazon distribution center being built in Tucson. Scanell purchased the property for approximately $1.5 million ($3.60 PSF) land value in two separate transactions with buildings to raze on it. Both transactions closed November 29, 2018. The site is located at the southwest corner of Silverlake Road and I-10 with addresses on 29th Street and Silverlake, west of downtown Tucson. Scanell has already begun prep work for the 50,000-square-foot single story warehouse to be used for sorting from larger warehouses and package transfers to smaller delivery vehicles, along with space for vehicle storage, washing and a fueling center. The fulfillment center is expected to bring with it 1,500 full time associates with competitive wages. It is unknown how many jobs the new distribution center will bring. The two facilities will compliment each other. For additional information, Unger can be contacted at 520.975.5207, and Hennessey is at 520.882.4343. Cohen should be reached at 520.546.2750 and Hall can be called at 520.546.2747. To learn more, see RED Comps 6372 and #6379. 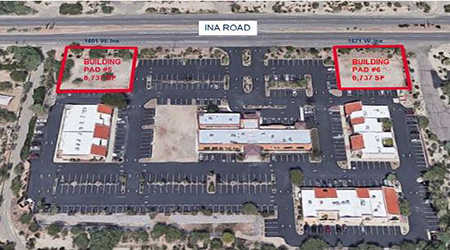 TUCSON, ARIZONA — O’Reilly Auto Enterprises, LLC purchased a 42,154-square-foot lot near the southeast corner of Ajo Way and Kinney Road. The seller was SEC Ajo & Kinney LLC, an affiliate of Glenwood Development of Mesa. 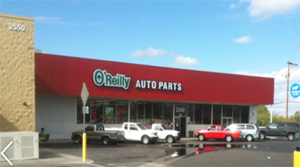 The land sold for $750,000 ($17.79 PSF) and will be used to construct a 6,300-square-foot O’Reilly Auto Parts store. Debbie Heslop, CCIM, of Volk Company represented the buyer in the transaction. The planned O’Reilly Auto Parts will be adjacent to a multi-tenant building under construction in the new retail project being developed by Glenwood Development Company. Tenants of that planned retail building include Domino’s Pizza, Dairy Queen and Cricket. Kevin Volk of Volk Company is the leasing agent of this property. For more information, Heslop and Volk can be reached at 520.326.3200. To learn more, see RED Comp #6466. 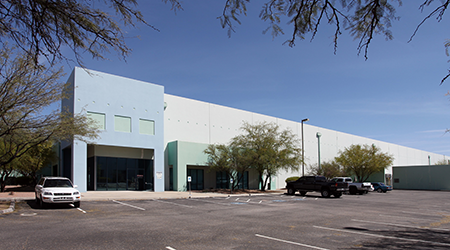 PHOENIX, Arizona – On behalf of Dallas-based Colony Industrial, Cushman & Wakefield announced the firm facilitated the sale of Palo Verde Industrial, a 129,047-square-foot building on 7.32 acres in Tucson, Arizona. Boston-based STAG Industrial, purchased the asset for $10.025 million ($77.68 PSF). Executive Managing Director Will Strong led the Cushman & Wakefield Capital Markets team on the sale, with local market support in Tucson from Brandon Rodgers, CCIM, and Rob Glaser, CCIM, SIOR, with Cushman & Wakefield | PICOR. “Colony Industrial is one of the most active real estate investors in Arizona and around the country. They did an excellent job leasing it up as well as managing and maintaining it. With the property now fully leased, Colony felt like it was the right time to sell,” said Strong. 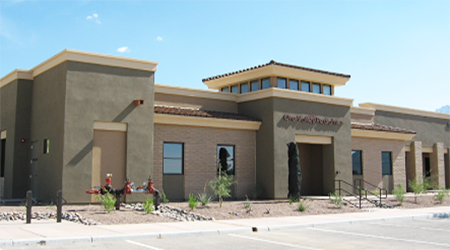 Palo Verde Industrial is an institutional quality industrial facility in the heart of Tucson, located at 6161 South Palo Verde Road. 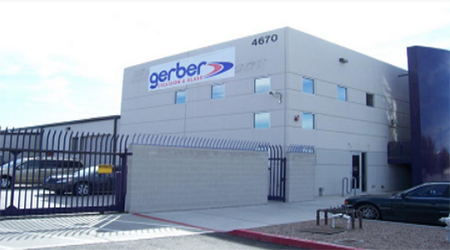 The property features 30’ foot clear height and heavy power as well as close proximity to Interstate 10 and Interstate 19. Palo Verde Industrial is currently 100 percent leased to PODS and Big O’ Tires. The Tucson industrial market for the third quarter of 2018 continued its strong momentum, according to Cushman & Wakefield | PICOR research. Vacancy dropped to 5.7 percent, well below the historical average of 9.5 percent. Also, building sales volume is robust with functional inventory selling quickly. Volume through the third quarter of 2018 at $105 million, well outpaced 2017’s full-year total of $67 million. To learn more, see RED Comp #6445. 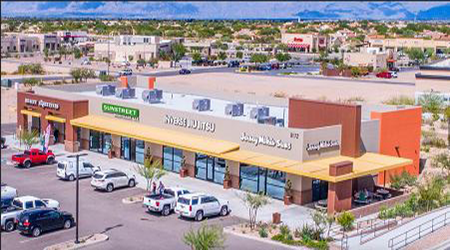 Tucson, Arizona – Tucson-based Larsen Baker, through its affiliate Gallery Row Group, LLC, has acquired Gallery Row, a 22,500-square-foot commercial property at the northeast corner of Skyline Drive and Campbell Avenue. Larsen Baker will reposition the former retail property into high end office space. The center will be renamed The Gallery Offices as part of the redevelopment. Gallery Row was purchased from an investment trust serviced by CIII Capital Partners for $3.8 million ($169 PSF). The first two tenants at The Gallery Offices will be Stewart Title & Trust and Skyline Dental. Both have signed leases and will be opening over the coming months. 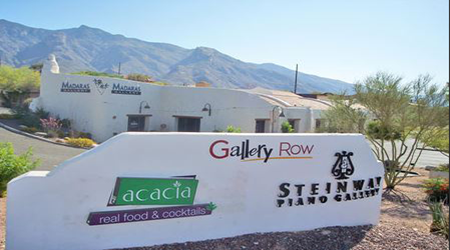 Built in 1999, Gallery Row was home to many prominent art galleries including Diana Madaras and Wilde Meyer Gallery, and restaurants including Soleil, Sur Real, and Acacia. It was the first of several upscale retail developments such as La Encantada Mall constructed at the intersection over the past 15 years. 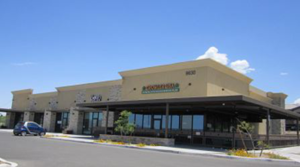 Operating since 1993, Larsen Baker has become the largest independent retail-commercial property owner in Tucson. It is currently developing four new retail centers that will add ±300,000 square feet to its portfolio. The firm owns and manages over 2.5 million square feet of commercial space in over 48 locations with 350 Tenants throughout Tucson and Southern Arizona. 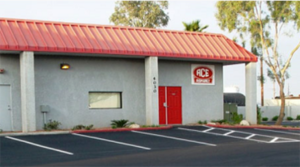 The property redesign, renaming and rebranding will be completed in conjunction with the architectural design firm Repp + Mclain based in Tucson, Arizona. 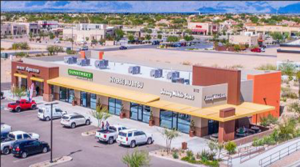 For information about leasing opportunities contact Andy Seleznov at 520-296-0200 x 218 or Melissa Lal at 520-296-0200 x 213. To learn more, see RED Comp #6403. 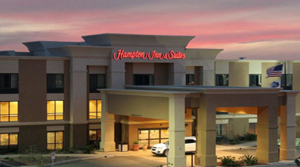 TUCSON, ARIZONA — HSL Properties purchased the Hampton Inn & Suites Tucson East/Williams Center, located at 251 S. Wilmot Road in Tucson, for $8.2 million ($81,188 per room) with plans to renovate the 101-room hotel, built in 2009. This is the second recent hotel renovation for HSL at Williams Center, in 2015 HSL bought the DoubleTree by Hilton at 5335 E Broadway Blvd., formerly an Embassy Suites, at Williams Center for a $3 million renovation that includes a redesign of the lobby and restaurant, updates to the pool and exterior, and fully-revamped guest rooms. The Hampton Inn features amenities such as a 24-hour business center, express check-in, and express check-out. This hotel has also has meeting facilities measuring 952 square feet (86 square meters), including a meeting room for up to 50 people. Guest amenities include an outdoor pool, fully equipped fitness center, standard in-room and lobby WiFi, breakfast and beverage common areas, florist and on-site convenience store. HSL now owns nine hotels, including the Ritz-Carlton at Dove Mountain and El Conquistador Tucson resorts, with over 1,700 guest rooms in total. 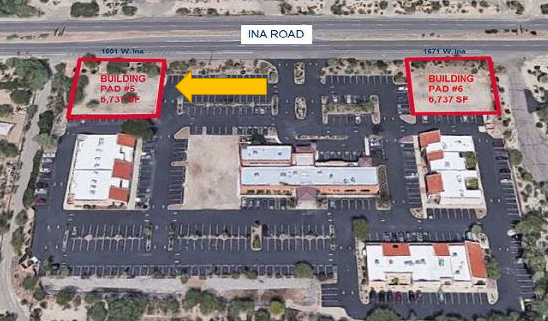 HSL is also building two new Hampton Inn hotels in Marana with 101 rooms, and in Rita Ranch with 104 rooms. To learn more, see RED Comp #6389. 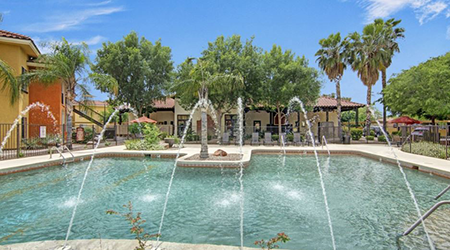 TUCSON, Arizona — Alden Street Capital Management (Greg Olbrys and Jonathan Krasner, principals) has acquired The Retreat at Tucson, a 183-unit student housing community with 774-beds, serving the University of Arizona in Tucson. The seller was an affiliate of Chicago-based Heitman Capital Management, Tucson Real Estate Holdings, LLC. 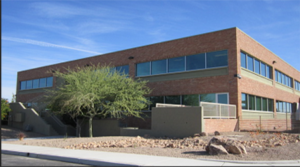 Located at 1000 E 22nd Street in Tucson is southeast of Park & 22nd Street, 1.5 miles south of the University and served by a shuttle bus to transport residents to and from campus. In addition, two bike paths to campus are accessible from the site. The asset closed for $56.2 million ($307,104 per unit / $72,610 per bed) on December 20, 2018. Located on an 11-acre site, originally an assemblage of 13 parcels acquired for $3.2 million. Built in 2013, The Retreat boasts the only pet-friendly, cottage-style student community with amenities that include a resort-style pool, a clubhouse, a 24-hour fitness center, a computer lab, study rooms, and a golf simulator. Nearby shopping, restaurant and cultural attractions include grabbing a latte from Caffe Luce near the campus or stopping by Epic Cafe for a breakfast burrito. There are a range of various Mexican restaurants just outside The Retreat. To fully appreciate Tucson’s unique landscapes, drive to the top of nearby Sentinel Peak, known locally as “A” Mountain for stunning city views, or stroll east to the zoo and lakes of Reid Park, easy escapes from the city for hiking, biking and climbing. Since its launch in 2015, New York City-based REIT Alden Street has specialized in acquiring, asset management, and repositioning value-add and opportunistic student housing properties across the U.S. The firm seeks to invest in projects requiring capital and asset level expertise. To date, Alden Street has contracted for and or acquired assets amounting to more than $350 million of real estate value and 5,500 beds. The senior principals of Alden Street have invested over $1.0 billion worth of equity capital across all asset classes and types throughout their respective careers. To learn more, see RED Comp #6425.